Publishing a Lesson has never been easier. Check out a few easy steps to get your Lesson Published. We've already shown you how to Preview your Lesson to prepare it for Publishing stage. Now, we'll cover how to Publish the Lesson you've just made or edited. 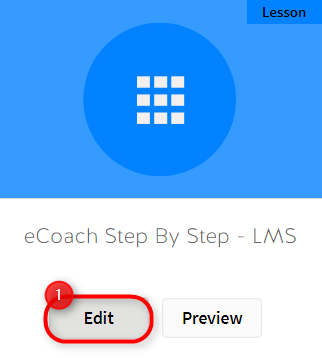 Firstly, find the Lesson you'd like to publish and click 'Edit'. Look towards the top right of the page for the blue 'Publish' button after you've entered the 'Edit' page. And that's it! Your updated Lesson is now ready to be shared out to your participants.